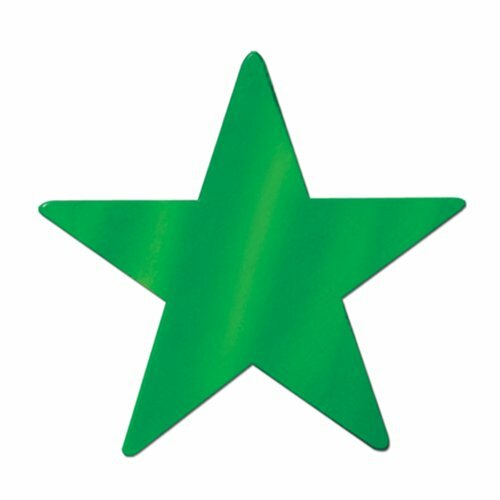 Decorate your party with 15" Foil Green Star Cutout and will be perfect for St. Patrick's Day or a Sporting Event and more. It is made of metallic cardstock in green color star shape. It can be used as a wall decoration or hung decoration. It looks attractive. You can use it in general occasion party. Theme: General Occasion. Size: 15". Color: Green, Foil 2 Sides.